Easily connects to the test port. CINCINNATI Test Systems, represented by MPW Australia , has introduced a new digital vacuum/pressure gauge for use on leak test instruments and pressure reading devices. 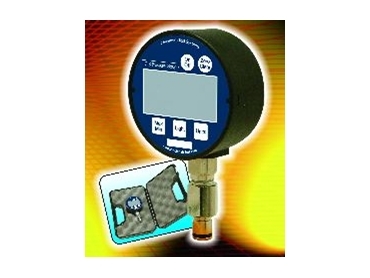 Using the specified fitting, the gauge also easily connects to the test port on the Sentinel instruments to accurately verify or calibrate the instrument's pressure display. The digital vacuum/pressure gauge provides a standard 4-1/2 digit LCD display with 1/2" character size in one of the nine selectable engineering units, and has an accuracy of 0.13% full scale. Available pressure ranges extend from vacuum to 60 or 300psi. The gauge is supplied in a re-usable, durable custom carrying case that effectively protects it from damage and dirt. Cincinnati Test Systems designs and manufactures leak test instruments as well as fully automated leak detection systems and offers a full range of support services.